A father killed his partner “in a fit of anger, rage and jealousy” as their children slept upstairs after she told him she was leaving him for a work colleague, a court heard. Paul Hemming, 43, attacked Natalie Hemming, 31, at the home they shared before driving her naked body 30 miles and dumping her in woodland. The next day he took his kids for a “happy trip” to the zoo, Luton Crown Court heard. He then explained her disappearance by telling police and her family she had been raped and needed time to “clear her head”. Miss Hemming’s body lay undiscovered in woodland near Chandler’s Cross, Herts., for almost a month. During that time Hemming sent various text messages from her phone to her friends and family and even to himself to try and pretend she was still alive. He previously denied “any knowledge” of his partner’s whereabouts but earlier this week admitted manslaughter and obstructing a coroner and unlawful burial. The court heard that on May 1 this year, the morning before her death, she returned to the home she shared with Hemming near Milton Keynes, Bucks. At some point during the evening, while her three children were sleeping, Hemming killed her, the court heard. Prosecuting for the crown Simon Russell-Flint QC said: “Natalie died at the hands of this defendant. This evidence we gathered proves that she was struck brutally to the head by Mr Hemming in the home that they shared. “She was killed on May 1 this year and whether or not she died instantly or immediately, following that attack on her what the defendant did was remove her body from their home, take it in his car and dump her body in woods near Chandler’s Cross in Hertfordshire. “It was there that Miss Hemming’s body was much later found, very clearly and undoubtedly dead. “The defendant struck and killed Natalie in the living room of their home. “He did not contact the emergency services, telephone 999 to ask for an ambulance or paramedics to come to the house or for the police to attend. “Instead he wrapped her up, naked as she was found, in a carpet, the carpet she would have been lying on and was either carried or dragged her out of the house in which their children were peacefully sleeping in their beds upstairs and disposed her body in the boot of his care. “He then drove 30 miles and disposed her naked body in woodland. “He then returned home and casually and glibly and convincingly proceeded to lie and lie and lie to everyone who asked, Natalie’s family, Natalie’s friends, his own family and friends as to Natalie’s whereabouts. The day after murdering his partner, who changed her name by deed poll to the same as his, he took Miss Hemming’s three children, all under 12 to Wicksteed Zoo in Kettering. 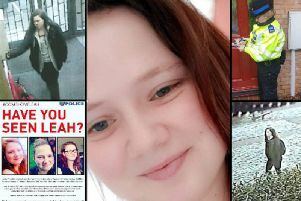 Miss Hemming was reported missing on Tuesday, May 3, by her mother Margaret Hammond and a work colleague. Police visited her house later that day where they found Hemming at home, despite the fact that he would normally have been at work. The jury heard this was a “lie” and Miss Hemming had in fact started a relationship with colleague Simon Dennis, which became physical for the first time that Saturday. She had dropped her children off at her mother’s house in Hemel Hempstead that morning and spent the day with Mr Dennis. The pair, who met working together at a Mercedes dealership called Intercounty in Milton Keynes, spent the night at St Michael’s Manor Hotel in St Albans. The spent the morning enjoying breakfast at the hotel and left around midday when Miss Hemming picked up her children and returned home. Mr Russell-Flint told the court that she texted Mr Dennis on WhatsApp following their meeting “what you did for me last night is something I have never had before. The court heard that the couple’s relationship had a history of “tension” and they had previously split up twice. Once it was over Hemming’s failure to go and visit her in hospital after she fainted at work and again over a dispute relating to a Christening. She had also spent time living with her sister in Barnsley on several occasions when they had split up in the past. Despite this Hemming told police their relationship was “alright” but the his partner had been seeing her GP after developing depression. This was untrue, Mr Russell-Flint told Luton crown court. He added: “We say it was (the crime) out of jealously, rage and anger at the fact that she had ended the relationship. “She had moved on and made the decision that she was going to stay with this man (Mr Dennis). Following the murder the jury was told that Hemming tried to cover his tracks. He sent various text messages from her phone to her friends and family and even to himself. He also texted Mr Dennis telling him that Miss Hemming and himself had discussed their relationship and decided that she was better off together. In the same message she told him to “back off”. He also told Mr Dennis’ work that he had raped his partner causing him to be investigated by the company, the court heard. After being arrested he was overheard in his cell saying “I guess I’ll be charged for murder so I won’t be coming back to work”. Miss Hemming’s body was found almost three weeks later on May 22 by John Goldy in Chandler’s Cross, Herts. The court heard that it was badly infested with maggots and pathologists were unable to ascertain a cause of death. They discovered she had a fractured skull and a broken left arm, suggesting defensive injuries, and was not judged to have died naturally. The court heard that Hemming black Ford S Max people carrier was found to have Miss Hemming’s blood in the boot. It was also picked up on various Automatic Number Plate Recognition cameras travelling from Milton Keynes towards Hertfordshire on the evening after Miss Hemming’s death. Defending David Jeremy QC said his client accepted killing Miss Hemming but he did not intend to kill her or cause her serious harm. The trial, which is due to last two weeks, continues.